It has been a few days since I last posted so I was anxious to get back and share with you all. First of all Happy Birthday to my son and myself…we are one year old in Christ. Amen! I have been reflecting on what has gotten me to where I am today and how I try to be a better man of God every day. Admittedly some days are better than others but each day I say as in Psalm 118:24 “This is the day that the LORD has made; let us rejoice and be glad in it.” No matter what can happen in a day if you follow the words of Proverbs 3:6 “In all thy ways acknowledge him, and he shall direct thy paths.” you will not have anything to worry about. The Holy Spirit inspired me to write about being stuck in our comfort zone today. 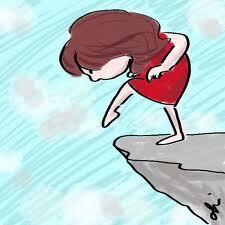 I feel like in this past year of my Spiritual life I have really gone out of my comfort zone. In the past I was that pew warmer in church. Have you ever heard that 20% of the people in church do 80% of the work? well I was never in the 20%, I was always in the 80%. When the sermon was over and the Benediction was done I was one of the first people out the door. I didn’t want to talk to anyone, I was trying to do anything. I put my couples hours in and I was out. As the Holy Spirit worked on me over time and after Baptism, I have found that I have a need to keep that fire in me to keep me going. As a result, I have found myself doing things I never would have thought of a year ago. One reason is that since I have been born again, I have not said “No” when asked to be of service. I will tell you that I have been blessed in so many ways because of it. I started doing the sound in the church on the once a quarter, then I started cooking for and going out to feed the homeless with a sister church, I started leading out in my weekly Growth Group, I was elected Men’s Ministry Leader and I am in a Disciple Makers group. I had no idea I would be available and willing to do so much for the Lord. Over time you will become a robot. No feelings, no spark, no fire!. 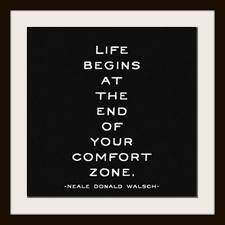 Friends I encourage you to go out your comfort zone and see what happens. Now I am not saying to go out and do something crazy, what I am saying is to trust the Lord and take a chance to speak to that homeless person, sit in another pew at church, speak to that visitor, that person you see all the time but don’t know. Go where your heart leads you to. You just may find a blessing in it. Make your life fresh and new. What may have been working for the last 5, 10 or 20 years of your life may not be relevant anymore. Putting God first is so much fun because if you allow yourself to be used, He will put you in amazing places and situations. I was happy to help the woman, but I think I thought about the woman in the minivan and wondered what seeing that did for her. Did she see the Love of God through me? Will she pay it forward? It feels good to be used for God’s glory. We are his hands on earth and in order to be used we need to go outside our comfort zone. It doesn’t take much but it takes a willing heart prepared to be used. I encourage you all to go outside your comfort zone in all areas of your life through Jesus Christ..you won’t know what you are missing until you try it. Who knows you just may like where he takes you! Wonderful lesson and congratulations for getting our of your comfort zone! I must say that I am so amazed by what God is doing in your life.I have enjoyed reading about how God has changed you. When I saw your baptism picture, it all became so real. I was brought to tears. Keep the faith. I’m praying for you. Yes, God is Good!!! Thank you for your prayers!